Take 2 tablets, with or without food, or as recommended by a healthcare practitioner. 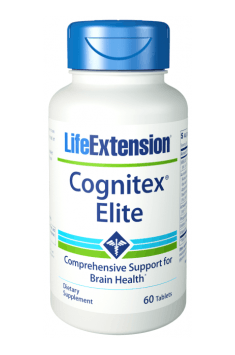 The supplement is recommended to the elderly to, for example, slow down the age-related deterioration of memory, as well as students and people working mentally, who will be able to enjoy increased concentration and mental acuity for longer. If you want to enjoy a well-functioning nervous system and good memory for many years, you should look after it in advance. Remember about proper rest and relaxation, as well as try to exercise the brain as much as possible – you can, for example, perform simple calculations in the head without using a calculator, and memorize a list of purchases or things instead of writing them on a piece of paper. Phosphatidylserine is a phospholipid, which is a derivative of serine, corresponding to the construction and operation of the cell membrane. It participates in many reactions that stimulate the activity of the nervous system, affects the better concentration, cognition and memory. It affects the course of anabolic catabolic processes and effectively reduces cortisol levels even within several tens of percent, with serine supplementation of phosphatides, which allows to stay active for a longer period of time. Used in sports and psychophysicaly active people supplementation in the form of a few preparations. Because of the high price of raw material, rarely used by our customers. Dosage: 300-800 mg daily (customary in supplementation). Uridine – a nucleoside found naturally in the human body as a building block of RNA strands. Since RNA has a major role in the nervous system, uridine has a great impact on its function. It is supplemented to promote nervous system function. Uridine is recommended especially to persons undertaking strenuos mental activity. It may increase congitive abilities, facilitate focus and memory. It is suggested that supplementation with this nucleoside influences beneficially the body’s ability to form connection between synapses. Uridine may also exert a beneficial impact on mental function by influencing directly acetylcholine synthesis. In addition, uridine supplementation may prove effective in persons struggling with bad emotional states (some sources report the efficacy of this nucleoside even in reducing symptoms of depression). It promotes the activity of dopamine responsible for well-being and motivation. Vinpocetine - ethyl apovincaminate - it is an alkaloid derived from eburnamenine of plant origin (Vinca), improving blood supply to tissues (mainly nervous), improves insulin metabolism and increases the level of the basic intracellular energy carrier (adenosine triphosphate - ATP). A positive impact on the exercise capacity during workout and improves concentration. Enhanced activity was reported in interaction with caffeine, hesperidin, vinburmine and vincamine. In the supplementation it is a component of pre-workout supplements and creatine stacks, available in residual quantities at www.muscle-zone.pl, as a result of the provisions of WADA and the Polish regulations it is to be withdrawn from dietary supplements as an illegal substance.